This volume provides the first comprehensive history of education and training for officers of the Royal Navy in the eighteenth and nineteenth centuries. It covers the development of educational provision, from the first 1702 Order in Council appointing schoolmasters to serve in operational warships, to the laying of the foundation stone of the present Royal Naval College Dartmouth in 1902. 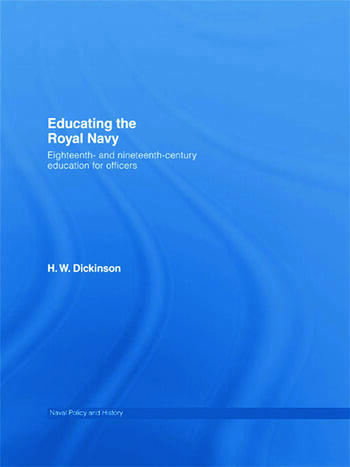 Educating the Royal Navy 1702-1902 includes the establishment of the Royal Navy’s first naval academy, the commissioning of the officer training ship HMS Britannia, and the conduct of education at sea. It also covers the birth of higher education in the Service with the opening of the Royal Naval College Greenwich, and the provision of technical education and training for a new category of officer, the naval engineer. This book will be essential reading for students of naval history and naval education, and of much interest to professional military colleges studying the development of naval training.